A best tool to convert Outlook .PST to MBOX format of Apple Mail, Thunderbird, Zimbra, Eudora, Pocomail, Berkeley, Mac Mail, Evolution, Turnpike, Postbox. Convert Outlook PST to Thunderbird Linux, Macintosh or Windows. Transfer email from Outlook to Apple Mail including all documents and sub folders like Inbox, Deleted Items, Junk E-Mail, Outbox, and Sent Items folders and so on. The Outlook to Thunderbird software can transfer all your Outlook PST contacts to MBOX. The Outlook to Thunderbird software imports Outlook PST document to Spicebird, Netscape, Opera, Apple Mail, Eudora, Entourage and so on. The program is compatible with both ANSI and UNICODE kinds of Outlook 2003, 2007, 2010, 2013, 2016. The Outlook to Thunderbird converter converts the file with no size limitation. The PST to MBOX converter is the most secure software which guarantees you with full information recovery with no data loss. The Outlook to Thunderbird can also change Password Protected file. The Outlook PST to Thunderbird converter can also perform the conversion of PST to EML, MSG, HTML and EMLX file format. Outlook to Thunderbird converter tool can convert emails, contacts, tasks, notes, journals and etc. from scrambled PST document to MBOX. *Demo Version preview complete Outlook PST items and allows you to save only 30 items from each folder. The Outlook to Thunderbird converter tool is an advanced converter tool which helps the user to migrate PST file to different file format like MBOX, EML, EMLX, MSG and PDF. This software can also migrate Outlook PST to Zimbra and also transfers Outlook PST to Eudora. There are two alternatives options available in the software. The first option is to save single MBOX file for per folder. The Second option is to combine all your PST file to a single Thunderbird MBOX file. These alternatives will assist you with managing changed over MBOX documents in a better way. Prior to changing from Outlook to Thunderbird, PST to MBOX converter offers the review of changed over information before attempting the real transformation of information. On their screen, user can check each and every thing including messages and its MetaData and attachments. This Outlook to Thunderbird converter software is designed with advanced technology which keeps PST record data in the first structure. This Outlook to Thunderbird converter remains the same structure as email content, folder hierarchy, and some other thing. PST to Thunderbird converter can migrate Outlook to Thunderbird Linux alongside Email Meta properties which include Cc, Bcc, Date/Time, Subject, Sender/Receiver's details and all type of attachment. Outlook PST to MBOX Converter can export Outlook contacts to Thunderbird MBOX that supports customer application like: Thunderbird, Zimbra, Berkeley, Postbox, Opera, Evolution, Apple Mail, Eudora, Turnpike, Pocomail etc. This Outlook to Apple Mail converter is fit to change over Outlook PST file to Thunderbird for Mac Mail customers. 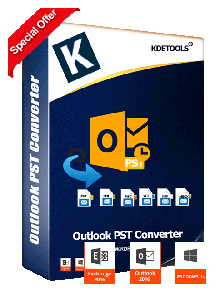 With this PST to MBOX converter software, you can import Outlook PST file to Apple Mail with complete PST mail items. PST to MBOX Converter software is perfect with all adaptations of Microsoft Outlook like 2003, 2007, 2010, 2013, 2016 and all other to convert PST to MBOX Thunderbird. It can convert all Outlook PST file into Thunderbird MBOX on Windows 2012, 2010, 2008/8.1 etc. version. *Free download enables you to check Outlook PST file contents and save your initial 30 messages. KDETools PST File Converter converts corrupt Outlook PST files to healthy PST file. KDETools PST Converter exportys OST files to PST, MBOX, EMl & 10+ email clients. 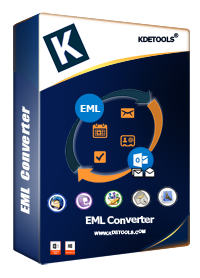 KDETools EML Converter converts EML files for Outlook, Apple Mail, Office 365, etc. © Copyright 2018 www.kdetools.com. All Trademarks Acknowledged.